After announcing their upcoming Japan tour, quickly following with some surprise gigs in California and nearby regions, following up with some more new gigs, announcing a China tour scheduled just before their Japan tour, releasing a brand new single, and a lyric video shortly after, and then announcing even more new gigs, it just seems like the surprises will never stop coming for San Francisco dream pop trio, The Bilinda Butchers' fans. 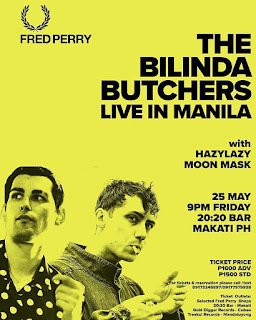 Popular in Asia, where they've already toured several times, the band, known for their dreamy electronic sound infusions and therapeutic tracks is quickly becoming one of the top electronic music acts to watch in 2018 and one of their newly announced gigs has been sponsored by the popular brand, Fred Perry. 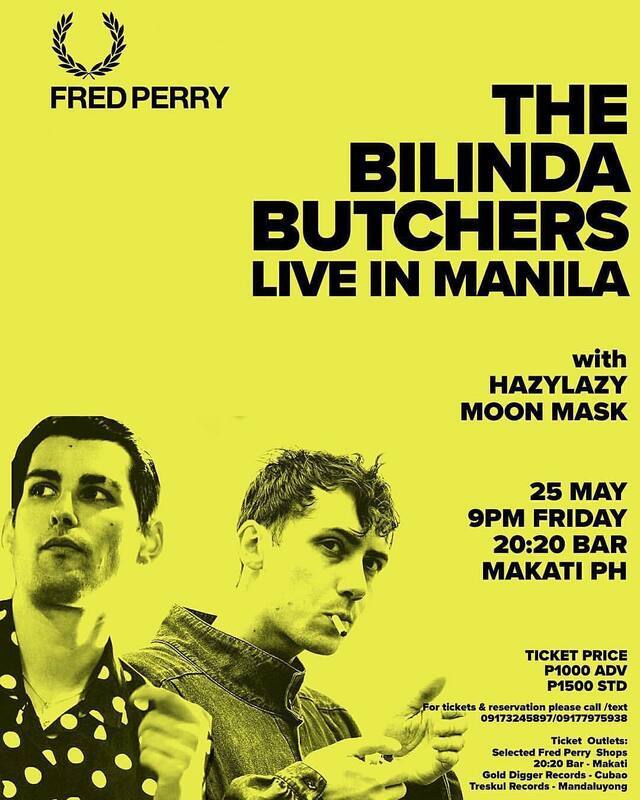 Fans can win tickets to the Manila gig on the 25th of May by heading over to their Instagram page and following a few simple steps. Full event details and tour dates are available on the Skunk Radio Live Events page. The competition ends on the 23rd of May.